Create a coastal look in your home decor with the Melbourne Sofa. 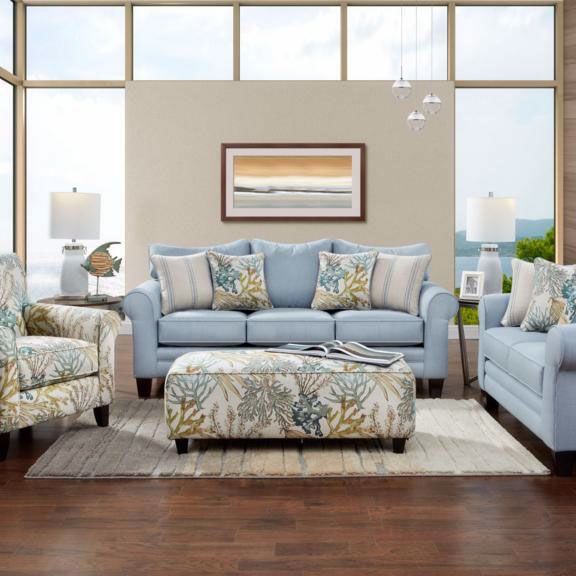 This sofa has a comfortable easy feel with Coral Reef Caribbean and Wakefield Chambry accent pillows. This set features sophisticated design with rolled arms, loose cushions and wood legs. In addition, the accent pillows make the overall look pop.